that's strange. maybe it was just glitch itself. R42 A.Animated and R42 D.Animated are only using "Reversed = False" as turn forward as front. R42 B.Animated and R42 L.Animated are only using "Reversed = True" as turn backward. It still doesn't work. I think it has something to do with the animated file. I copied the extension codes you told me to copy and it still doesn't work. If it's possible could you upload and message me the R40 that you have? It still doesn't work. The front slant repeats itself in all the cars. 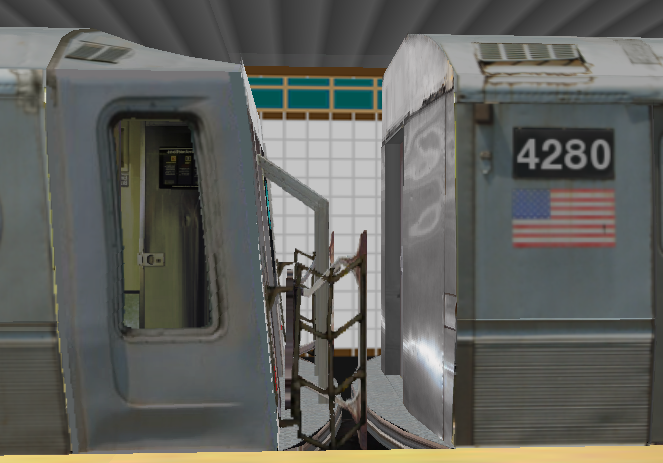 R Train right? Is it going through the tunnel or the Bridge? Cant wait for the 6! Will it include the 6 express and 6 local? BVEStation Network News / Re: The R46 for OpenBVE has been updated! Make sure that you are pressing the keys on your keyboard that control the rollsigns. Also, if you changed the keyboard customization settings, you may have accidentally changed the key assignments of the keys that control the rollsigns, so see if setting the key assignments back to the default setting helps. 1: The LCD sign functionality only works on Windows computers. Mac and Linux computers are able to run the R46, but without the animated LCDs and rollsigns. 2: If you are using a Windows computer, your anti-virus could be preventing the plugin used to animate the LCD signs from working. Check if your anti-virus and possibly tell it not to monitor the R46 folder in your BVE folder. Content Development / Re: Does anybody have the old B train to Grand St? Can you upload it on mediafire? Content Development / Does anybody have the old B train to Grand St? Btw idk if anybody ask this or not but is this going local to Coney Island or will the local version be in version 9?